I have asked my good friend and occasional Messy Jesus Business contributor, Amy Nee-Walker, to share her perspective on the recent events in Baltimore for our readers this week. 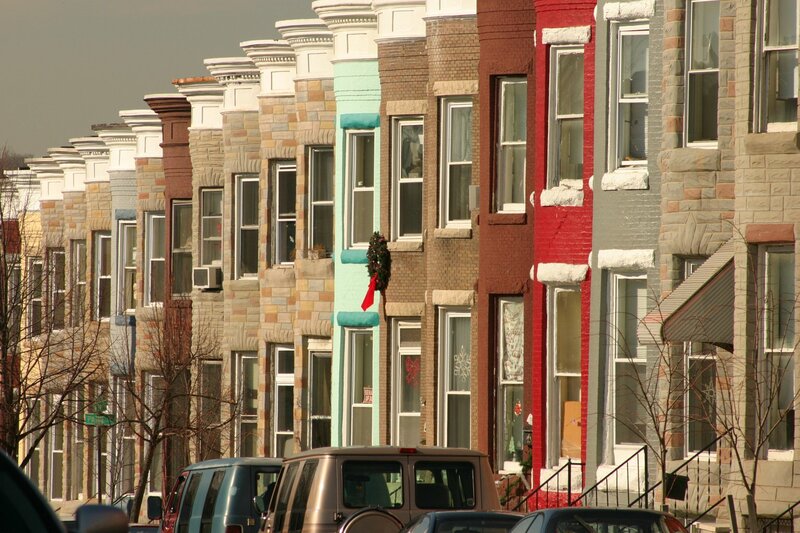 Amy and her husband Ted presently live in the Jonah House community in Baltimore with their one-year-old son. Here are her responses to my questions. What would you want young people to learn from the events in Baltimore in the past week? “Observe without judgment” is a phrase commonly used in meditation. One is asked to observe–while withholding judgment–his or her own self: thoughts that run through the mind, sensations being experienced within the body, feelings rising to the surface. It is only through observing without judgment that we can begin to have a truer, fuller sense of what is happening and attain a state of peace and wholeness in body, mind and spirit. I would like for myself, and others–young, old and in-between–to take hold of this concept and to extend it beyond the self. What I want people to learn about what has been unfolding this past week in Baltimore is not exact. I am still in the process of trying to understand and sort it out and respond appropriately myself. But I think, if nothing else, I want people to look and to listen and to do this without judgment. I want people to learn to not just perceive what is happening but also to seek to discover why it is happening; not stopping at the easy answer that some news outlet, or peer, or even parent, is waiting to feed you. If you can begin by observing without judgment, you will learn to ask questions that don’t have assumed answers already attached. … I am convinced that if we are to get on to the right side of the world revolution, we as a nation must undergo a radical revolution of values. We must rapidly begin the shift from a thing-oriented society to a person-oriented society. When machines and computers, profit motives and property rights, are considered more important than people, the giant triplets of racism, extreme materialism, and militarism are incapable of being conquered. It is my view that these triplets of racism, materialism and militarism are the deep and wide-reaching roots that are fueling violence, not just here in Baltimore but throughout the country and the world. That is something I would like people to examine in their own lives and communities as I intend to examine it in my own. What do you think the rest of the world doesn’t know about Baltimore? For those who wonder why there is so much tension between protesters and police, I hope this shines some light. For those who think the only reason someone might resist arrest is because they are a criminal, I hope this helps them begin to realize there are times when people evade police not because they are afraid of getting caught in wrongdoing, but because they are afraid for their life. But I also think the world does not know enough about the positive, creative ways that people are trying to take back their streets from the rioters who trashed them, the wayward pockets of police who torment them and the political leaders who frankly didn’t seem to give a damn about this particular neighborhood until it hit national news. First of all, most of those taking action are advocating for peace and collaboration–some who want to have the opportunity to mourn and grieve for the loss of their friend, son, and brother–Freddie Gray. And there are many who want to both confront the oppression they have experienced for generations as well as show there is more to this city, and more to these neglected neighborhoods, than crime and destitution. One of the things I love about Baltimore is how easily identifiable it is as a city, it is itself and nowhere else (unless you go to the inner harbor which, sadly, has become a cookie-cutter middle class shopping district with the usual chain stores and restaurants). The city strikes an awkward balance between crowded row houses and expansive green parks and forest space. It is teaming with locally-owned businesses, a love of fried fish and crabs, pockets of incredible historical sites that include civil war memorials as well as the birth places of Billie Holiday and Edgar Allen Poe. And there are many community-based initiatives from planting trees and community gardens, to providing after-school activities, to street festivals and art fairs. But more than that, I have been so moved by the hospitality, kindness and humor of the people we have encountered. We help with food distribution for those needing grocery supplements, and though the people come here in deep need they also come with great patience as we bumble our way through the long line of recipients. They come with a generous interest in us and a concern for one another; sharing when they’ve been given more than they need, bringing things back for neighbors and friends who couldn’t make it down themselves due to illness or other impediments. These are not aspects of Baltimore likely to be recognized by folks who drop by the Inner Harbor for seafood, or who have formed all their ideas of the west side of the city (where we live) through watching The Wire, but to a young mother and new folks in town, it means the world. What’s the story the media isn’t covering? I think we can agree that the media loves bad news. For some reason, bad news is what gets a majority of us to tune in. Because of that, most of the reports on what’s happening in Baltimore, beginning with Saturday’s largely peaceful demonstration, flash images of smashed cars, burning buildings, looting stores. In fact, when everything is calm or when groups are gathering for prayer or just standing and talking, even “live” reports will flash back to images from earlier in the week that are more dramatic and scintillating. I don’t want to indicate that the damage done has not been real and impactful. Many of the people who came to our food pantry the day after Monday’s riots were saddened and frustrated by the damage done to their streets and businesses. One man commented that he doesn’t know where he will get his elderly mother’s medication now that all the nearby CVS stores have been looted and subsequently closed. Another said he lost his job, one of the few available in this area, because the building was burned down A friend reports that in their zip code, unemployment is at 50 percent (8.4 percent city wide). Several of the men commented that they didn’t leave their houses, not because they were afraid they would get hurt in the riot, but because they were afraid of being accused of participating in it just by stepping outside. But there is so much more happening! Because schools were closed, the high school drumline (which we hear practicing almost daily from our house) marched through the streets with the school’s cheerleaders dancing before them. Churches held outdoor prayer services (some in front of their own buildings, others surrounding those places that had been burned down), seeking to bring healing to a traumatized space. Local clergy are meeting with local gangs, discussing ways of reaching out to the community and beginning to work together to seek not just calm but real enduring peace. Throughout the week our local Josephite church, Peter Claver, has been a hub for organizing–to meet the needs of people lacking food or other resources, to help with neighborhood clean up and to engage in the more long-term work of confronting social structures which are precariously imbalanced. How has living the Gospel been a messy experience for you in the last week of your life? Probably that hardest thing for me living in the midst of Baltimore’s present turmoil has been fielding the reactions of those who live outside of it. I guess that belies my privilege in that, because I have a car, I am not cut off from access to food, toiletries, or medications when drug stores and convenience stores in the neighborhood are burnt down. And frankly, because I am white, I am not afraid of being falsely accused of participating in destructive actions or being badgered or beaten by law enforcement. What I do struggle with (as someone with a network of friends and family who have widely disparate takes on world events as well as philosophies of right living) is trying to bring a balanced perspective and to reveal what may otherwise go unseen. I think those who very sincerely and understandably want to be on the side of the oppressed are quick to rationalize and validate any actions. This is also true of certain forms of violence (such as property destruction)– long-suppressed reactions from people who have experienced many painful forms of violence throughout their entire life–even the lives of the generations preceding them. On the other hand, there are those who want, without question, to dismiss and criticize any behavior that is disruptive, uncomfortable or that defies their sense of what is appropriate. They are quick to have a scathing review of unruly protesters yet are ready to ignore the economic and social violence that has been far more enduring and harmful to peoples’ lives. I find myself truly challenged to live my own exhortation to “observe without judgment.” I am challenged to observe what is happening on the streets, first with curiosity and compassion, before slipping into criticism and assumptions whether I am observing protesters, police or politicians. I am also, and perhaps all the more so, challenged to observe the comments and viewpoints of others that are pouring in with patience and humility, looking to the Spirit to help form my response and not simply relying on my reactive feelings. This is a struggle for me as I feel very deeply the turmoil of my community (even as I am aware of my own status as somewhat of an outsider); tucked away in this 22 acre-cemetery of which we are stewards, where the sounds of helicopters and sirens compete with the song of birds enjoying the shade of our blossoming apple trees. I am coming to a point where I find the need to quiet my own roiling thoughts and emotions, my fast-forming opinions and judgments. Coming to a place of inner stillness, I ask myself to imagine “Where is Jesus in all of this?” With that question, lines of police in riot gear melt away, a disinterested mayor takes the backseat, burning buildings fizzle out. With the question comes tears: tears of a devastated mother who lost her only son, a mother who is representative of many and yet who is deeply immersed in her own very real and individual loss; tears of Jesus as he holds her grief-stricken body in his own wounded arms and mourns a multitude of violent deaths and broken hearts and the loss of even one precious child. I would, however, like to give a shout out to WBAL TV Channel 11 News for the most comprehensive, contextualized coverage I have seen. I only read this now. Very touched by your sharing, especially the perspective you bring by your ability to ‘observe without judging’ and unbiased love for all humanity. Thank you Amy. Many prayers for you, Ted and your young son. Peace, Sajeev. Sajeev! How wonderful to hear from you, and how serendipitous! You were on my mind tonight as I have just begun looking into doing a fundraiser for St. Baldricks and I was also looking back over some of my notes from when Ted and I travelled in India and was wishing it would have worked to see you. Many thanks for your comments and prayers!